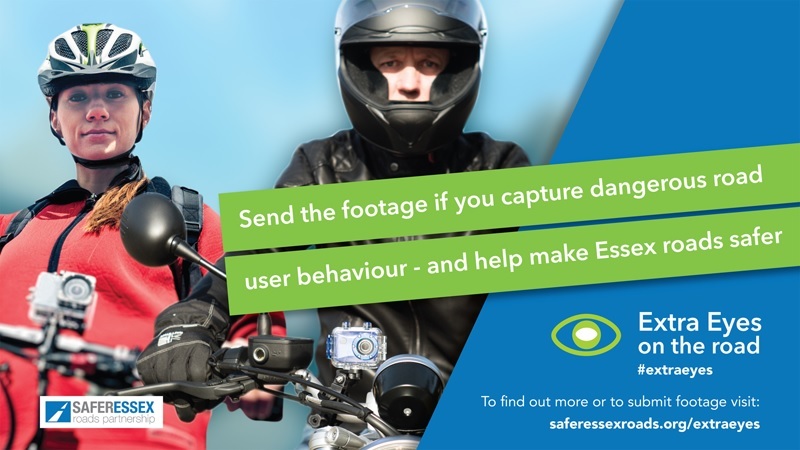 The Safer Essex Roads Partnership (SERP) is encouraging road users to submit footage showing dangerous road user behaviour as part of a new campaign to make the region’s roads safer for everyone. 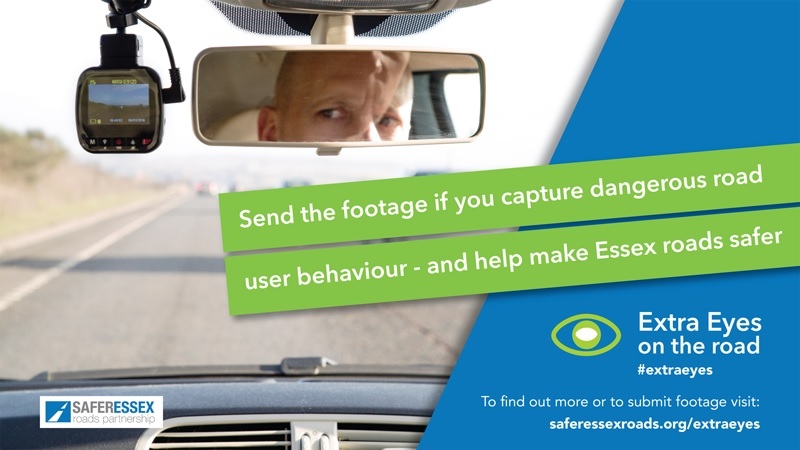 SERP has today (11 Dec) launched the ‘Extra Eyes’ campaign in a bid to reduce crashes – and ultimately save lives – on roads across Essex, Southend-on-Sea and Thurrock. SERP points out that it is not encouraging people to go out in search of poor driving behaviour, or put themselves in danger or break the law to capture footage. Essex Police will look at the footage and, if appropriate, contact the person caught on camera and explain what the consequences of their actions could have been. Alternatively, the offender could be offered a driver retraining course, or in serious cases, face prosecution with the footage supplied to be used as evidence. SERP is hoping that the publicity generated by Extra Eyes will act as a reminder to road users of the need to behave safely and considerately. “Most of the people who use roads across Essex do so responsibly and with care and consideration for other road users. “However, a small number behave irresponsibly and inconsiderately and are a danger to others. “As police officers can’t be everywhere, we are asking you to help us identify unsafe behaviours – by sending in your camera footage for review by a police officer. Examples showing the type of footage SERP is asking people to submit, along with full guidance covering how to submit footage, are available on the SERP website.